As I climbed the stairwell to the James Street Ballroom, which lies directly above Pittsburgh’s James Street Gastropub & Speakeasy, a venue known for craft beers, great food and jazz music, I could already hear Felix Martin’s signature sound echoing through the building. The trio was just finishing sound check after which Martin made his way over to the entrance and greeted me. The March 8th show in Pittsburgh was the first on Martin’s Northeastern U.S. tour. He’d recently flown in from the West Coast and mentioned that he needed a nap before show time since he hadn’t slept in over 12 hours. As Martin went up to the green room for some much needed rest, bassist Kilian Duarte came over to chat with me before the show. 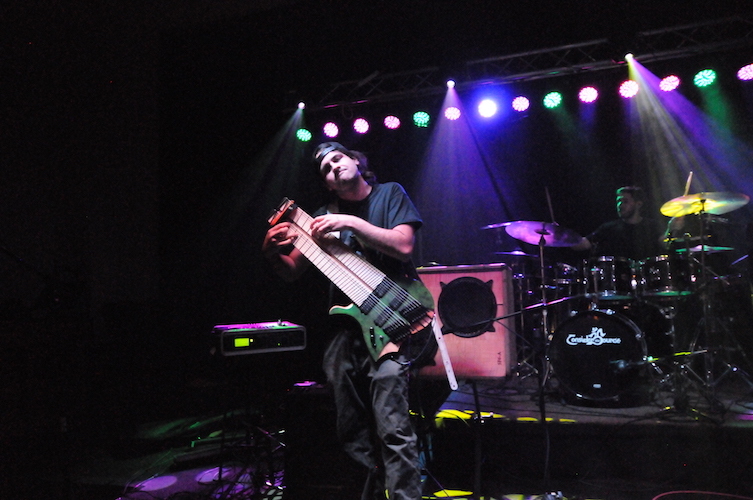 He spent some time discussing his gear and the advantages of using a fanned fret bass. He also mentioned that he’s looking forward to the release of his signature J Ferro bass, which he expects to occur about the time this tour ends (March 19th). Duarte asked if I was familiar with CONSIDER THE SOURCE, the band with whom Felix Martin is touring, which until then I was not. He kind of chuckled and told me he was pretty sure, if I liked Martin’s material, I’d really like CONSIDER THE SOURCE. Yeah! He was right. The show started just after 8:00pm with “Carnatt”. It’s one thing to hear a recording of Felix Martin’s work, but experiencing it live really brings into perspective the complexity of what he’s doing, the ease with which he does it while performing with his band and how very listenable his music is. The whole time Martin is playing, his demeanor is that of being in a groove and having fun. Drummer Victor Carracedo ran into a bit of difficulty during the first song due to his crash cymbal falling from the drum riser and there was a short break after the song while Martin took care of another technical issue. The crowd and the band took it in stride and Kilian Duarte made a few funny quips as everything was being straightened out. The set continued with “BOM” a song now very familiar to fans of Martin, and the groove atmosphere permeated both band and crowd alike. Though only the first show of the tour, the band performed well and all were animated and enjoying themselves onstage. 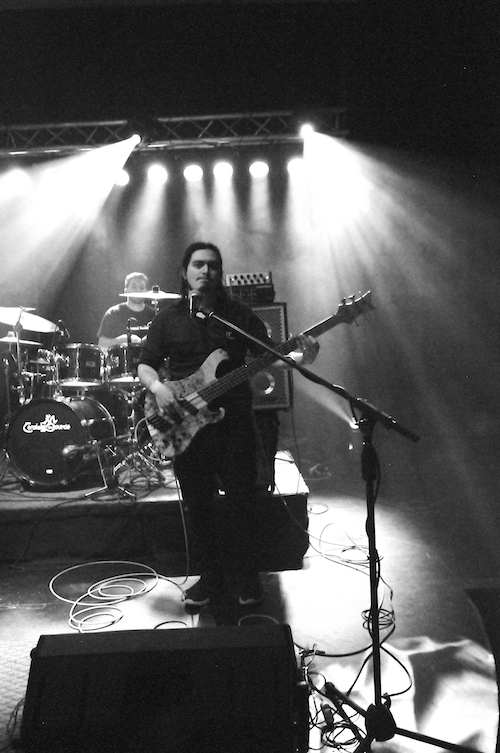 The overall mood was that of a band playing for a group of friends. This was readily apparent when, near the end of their set, Duarte said. “We really appreciate everyone coming out tonight. This next song will be our last.” To which Martin laughingly replied, “No it won’t. We’ve got a couple more. Someone turn off his mic.” Everyone laughed and cheered. It was a great representation of the mood of the evening how easy Felix Martin makes it to participate in and enjoy his very complex instrument and the music he creates with it. In between sets, my buddy and I were checking out Felix Martin’s/CONSIDER THE SOURCE’s equipment setup. 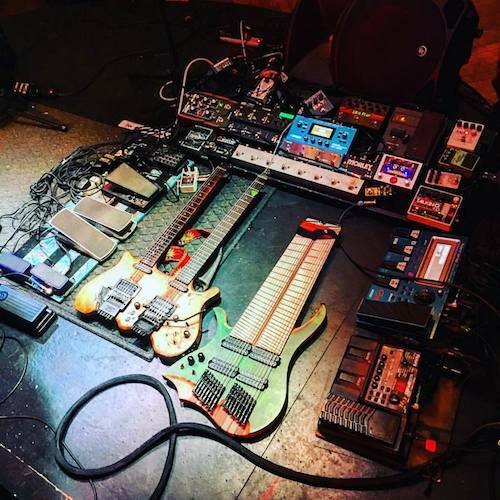 He looked at me and said, “Dude, that pedal board looks like the cockpit of the Space Shuttle.” He wasn’t far off either. Given Martin’s performance and the one to follow, operating the Space Shuttle may not be far more complicated. Having not heard CONSIDER THE SOURCE prior to that evening, all I had to go on was the buzz from everyone in attendance. 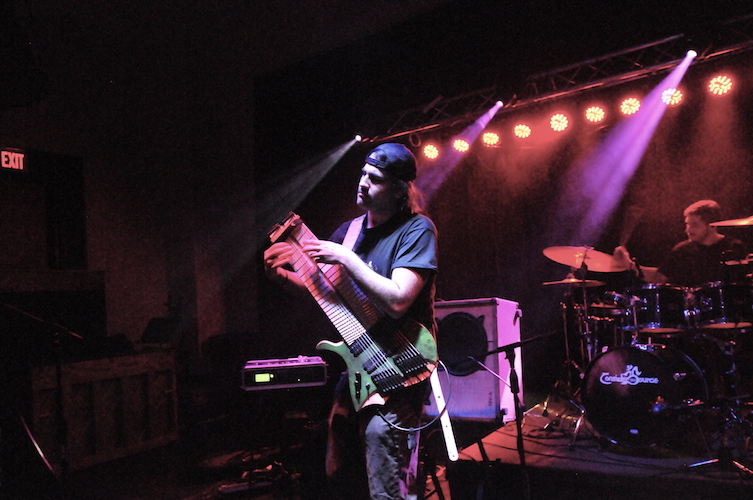 CONSIDER THE SOURCE is a progressive, fusion, jam band tour de force. 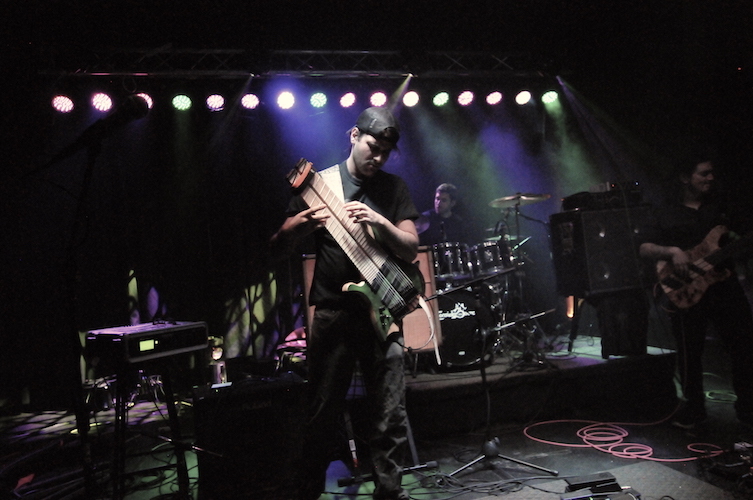 Guitarist Gabriel Marin plays everything from melodic, Middle Eastern sounding melodies to blindly fast solos on his double neck guitar. 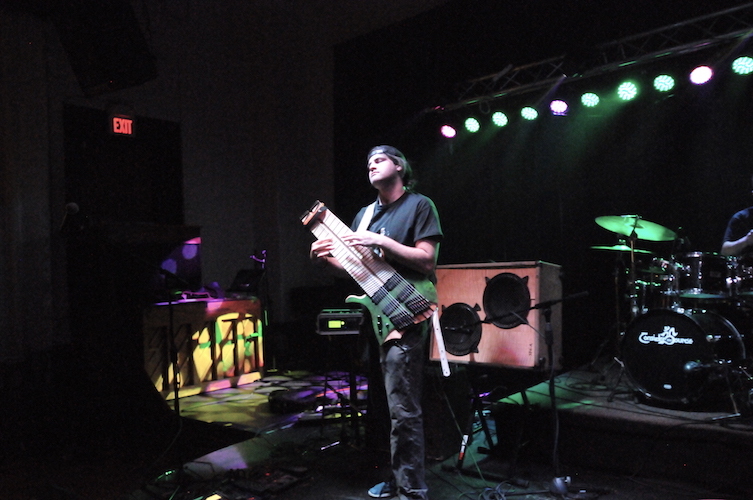 Marin’s playing is layered over drummer Jeff Mann and bassist John Ferrara, the two of whom comprise a truly remarkable rhythm section. CONSIDER THE SOURCE’s songs are invariably in odd time signatures, and in hallmark jam band fashion, seem to ebb and flow from one passage to another only to resolve back where they began. Along the way expect countless guitar solos and some fantastic tap/slap bass playing. I really didn’t think I could be more impressed by this band until the stage went dark but for one light on John Ferrara. He proceeded to play an absolutely astonishing bass solo. Afterward, the crowd erupted with applause and cheering. They were very well deserved.